Having previously faced a giant movie monster in J.J. Abrams‘ Super 8, Kyle Chandler is set to take on Legendary and Warner Bros. Pictures‘ Godzilla: King of the Monsters. Variety has the news, reporting that Chandler will play the father of Millie Bobby Brown’s character. Brown, as Stranger Things fans well know, was the breakout star of the hit Netflix series and the first name announced to headline the upcoming Michael Dougherty (Trick ‘r Treat, Krampus) sequel to Gareth Edwards’ 2014 Godzilla. Kyle Chandler recently appeared in Kenneth Lonergan’s Manchester by the Sea, currently nominated for six Academy Awards. He’s also one of the stars of Netflix’s hit drama series Bloodlines. 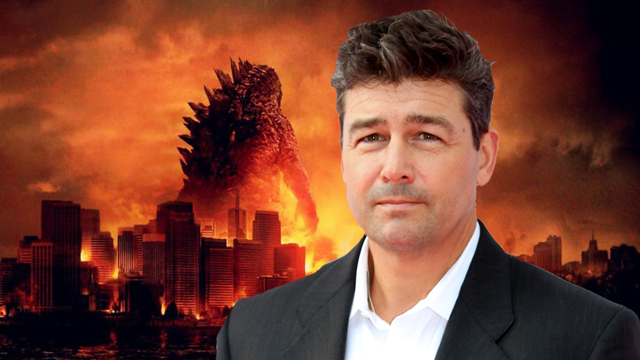 What do you think of the addition of Kyle Chandler to Godzilla: King of the Monsters? Who else would you like to see appear in the 2019 release? Let us know your thoughts in the comments below!